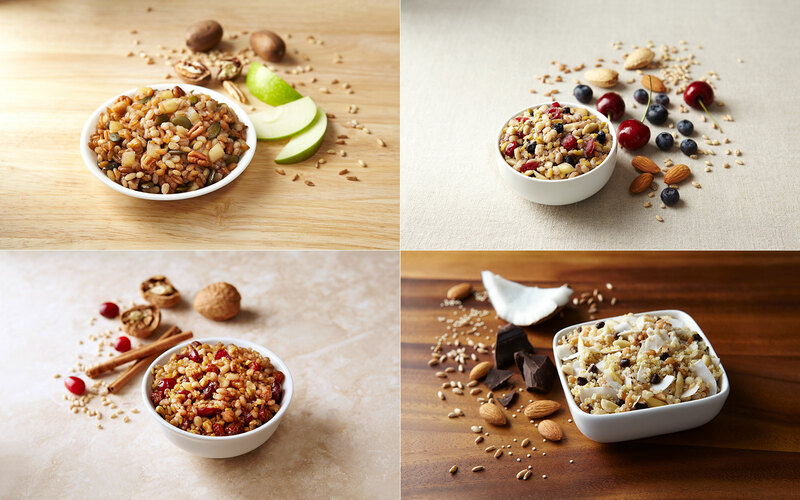 Melanie’s Medleys is Bringing Balance Back to Breakfast in Canada with four ready-to-eat variations: Chocolate Coconut Almond; Caramel Apple Pecan; Cinnamon Walnut; and Fruit & Almond. Our Melanie’s Medleys Canadian approved varieties are delicious, unique, and “better-for-you” than most traditional breakfasts. They also boast the versatility of being used in exotic salads, snacks and desserts. These wholesome grain salads are available in both foodservice and retail formats, can be served hot or cold, and can be frozen to retain freshness. 2020 Wentworth St. Unit #27, Whitby, ON.